Intersection syndrome is most common in athletes who do specific sports activities. 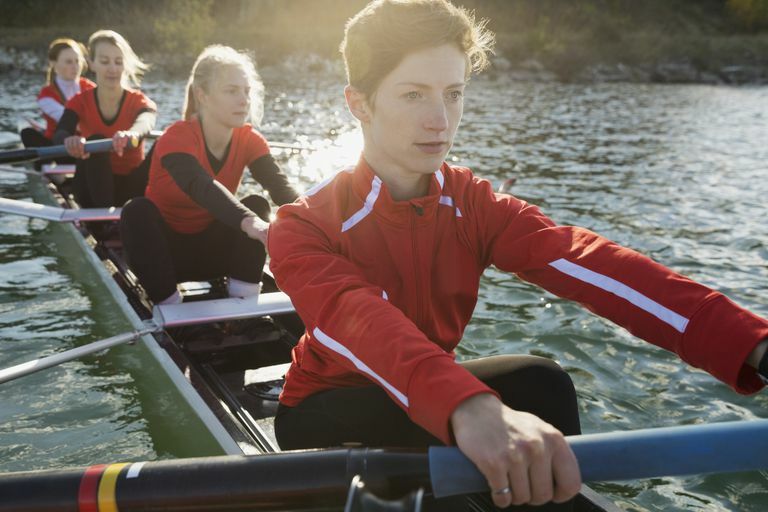 The most common sport where athletes get intersection syndrome is competitive rowing. The rowing motion is repetitive and places tremendous stress on the wrist extensor tendons. In the rare circumstance where the diagnosis is unclear, injection of a local anesthetic into the area can be helpful in making a definitive diagnosis. People who have immediate relief of symptoms following an injection directly at the intersection of these tendons will have the diagnosis confirmed. Treatment of intersection syndrome is almost always easily accomplished with some simple steps. Foremost, the tendons require rest, and this means avoiding activity with the affected wrist for at least 3-5 days while the inflammation subsides. Not resting the condition will exacerbate symptoms and prolong symptoms. Athletes should ensure that the symptoms have resolved, as a premature return to sports will be likely to make the problem recur. Rest: Most people benefit from the use of a wrist brace to fully rest the tendons for at least 5 days. The optimal position of the splinted wrist joint has been shown to be in about 15 degrees of extension. Activities that cause the aggravation of the symptoms should be avoided. Often changing technique can help to alleviate the stress on the involved tendons. Ice: Ice can help to relieve the symptoms of inflammation. Application of ice can actually be of significant benefit given the superficial location of the inflammation in individuals with intersection syndrome. Compared to other conditions that are deeper within the body and icing is of questionable benefit, this is a scenario where I can have significant effects. Anti-Inflammatory Medications: A short course of an oral anti-inflammatory medication is also helpful to settle symptoms. While long-term anti-inflammatory medications should be used with caution, often a short course of these medications can help to quiet inflammation and lead to a dramatic reduction in symptoms. Once symptoms have improved, athletes should gradually return to action to ensure the problem is completely resolved. Even if there is no pain while doing an activity, too early of a return may cause inflammation that is not apparent for several days. Therefore, those early work-outs when an athlete is returning from treatment are critically important. Having an athletic training or well-versed coach supervise this return to sport can help to prevent a recurrence of the symptoms. In some persistent situations, more aggressive treatment can be considered. Occasionally a cortisone injection is used to help with treatment. In some rare situation, surgery to clean up the inflammation may be considered. However, most patients will improve with 1-2 weeks of simple treatment. In very rare circumstances, a surgical debridement (clean-up) of the tendons can be performed. During surgery, any abnormally tight tissue, called fascia, can be released from around the tendons to prevent the problem from coming back. The good news is that almost all patients can recover without having to undergo a surgical procedure for this problem. What Are Tendonitis and Tendinopathy?